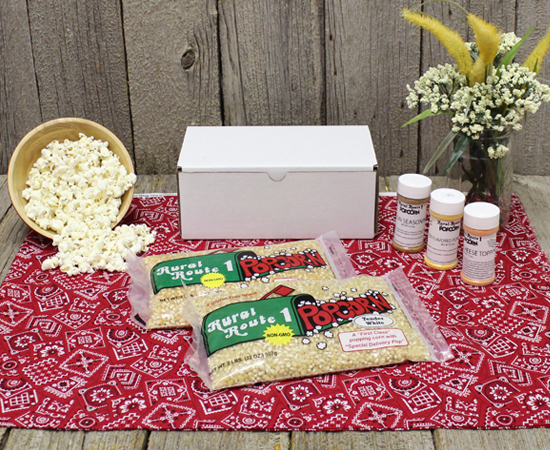 All Packed in a White Gift Box - Great gift for those who love our popcorn and all the seasonings. They will be enjoying this gift for many movie nights to come. This is the gift for your Popcorn Lovers! Great value at $30!